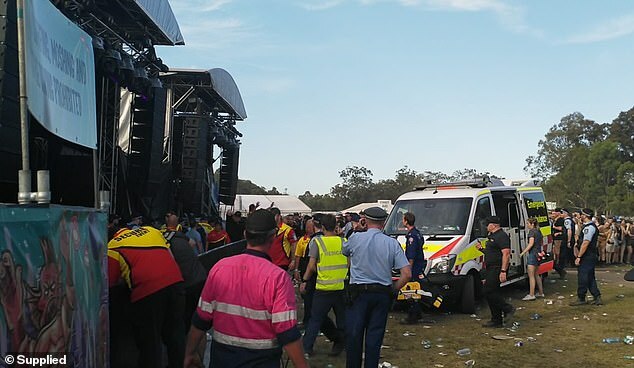 A man was rushed to hospital after suffering a cardiac arrest at a music festival in Sydney on Saturday. 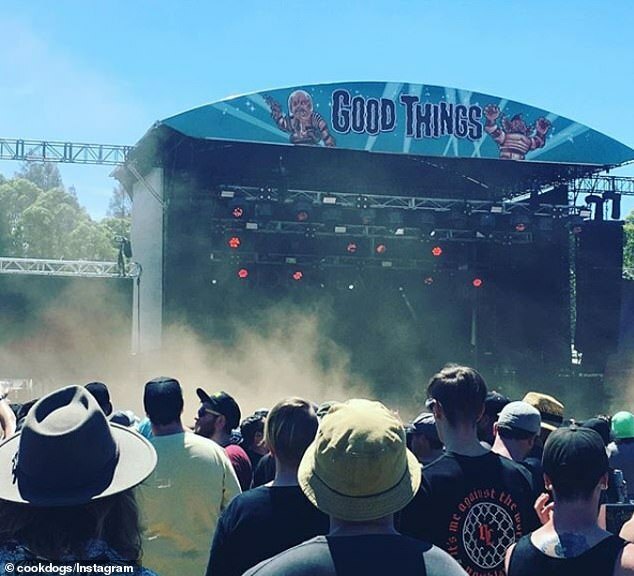 The man in his 40s was reportedly standing between the stage and the metal barrier in front of festivalgoers before he suddenly collapsed. He is understood to have been a security guard at the Good Things festival at Parramatta Park, in the city’s west. A New South Wales police spokesman told Daily Mail Australia ‘CPR was performed in front of stage three about 5.45pm’. An ambulance spokeswoman said: ‘A man in his 40s was treated after having a medical episode’. The man suffered a cardiac arrest and paramedics treated him at the scene, according to the spokesman. He was then rushed to Westmead Hospital in a serious condition. 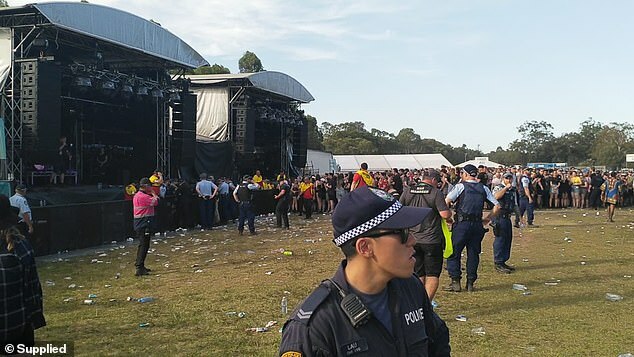 A festivalgoer told Daily Mail Australia the crowds were ‘frantic’ as the incident unfolded. He said members in the crowd tried to get the metal barrier taken down after they saw the man collapse. ‘Everyone was just shocked. Thousands surrounded the ambulance shocked and upset,’ he added. He said paramedics attempted to give the man CPR for about 10 minutes and then use what he believes was a defibrillator. He said the band Mayday Parade, who were on stage at the time, stopped playing for about 30 minutes from the time the man collapsed to when emergency services rushed him to hospital.